The nice folk at Kaleidescope Entertainment were kind enough to send me a review copy of Juan Martínez Moreno’s Werewolf film to take a look at, so having cast my critical eye over it, here is my review. The story centres around Thomas Marino, a young writer who has returned to his home village in rural Spain after 15 years. The locals initially seem pleased to see him again, but he soon discovers there’s something sinister afoot. It turns out that the village has, for the last 100 years, been suffering a curse, as a result of one of his ancestors misdeeds and since then, the village has been terrorised by a werewolf every full moon. Much to his dismay, he discovers that the villagers intend breaking the curse by sacrificing him at the next full moon, 100 years to the day the original curse was placed on them. Fortunately, with the help of a couple of his idiotic friends, he manages to escape the beying mob. But in order to survive the night, the group must continue to outwit the villagers and defeat the rather unfriendly werewolf creature that threatens to smash its way into their house. This one has apparently been doing the rounds at the festival circuits and been getting rave reviews. Must admit, I found this bloody good fun. 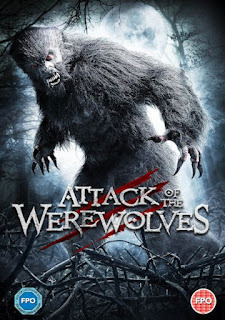 It’s very tongue in cheek and features some fun action scenes, I particularly liked the 2 goofy cops who blunder into the battle between the villagers and werewolves part way through the film and end up getting embroiled in the events. The only minor negative point is that it’s in Spanish language with English subs, so you really need to pay attention to whats going on. But that’s only a minor aside. The screener copy I was sent didn’t contain any extras and there’s no word on whether the full release will contain any supplementary material. But if you’re not bothered about that, then I would most certainly give this film the thumbs up! The film is out on UK DVD and Blu-Ray on 8th October. 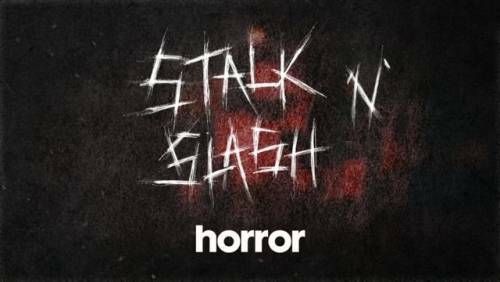 Attention UK TV viewers, the Horror Channel will be slicing its way through our TV schedules every Friday night throughout October as it celebrates slasher films, both classic and contemporary. From Oct 5 there will be four double-bills, headed up by four UK TV premieres. Seen as the most controversial of horror film sub-genres, the slasher film has delighted fans for over 30 years with its iconic psychopaths, trend-setting special effects, horny teenagers and outrageous plotlines. From ‘Psycho to the hilarious Scream franchise, these endearing films forever changed the face and fortunes of horror cinema. The season kicks off with the premiere of GOING TO PIECES: THE RISE AND FALL OF THE SLASHER FILM (2006) a documentary which features a host of genre legends including Wes Craven, Rob Zombie & John Carpenter, who take us on a journey to the darkest recesses of cinematic shock. This is followed at 00:40 by BLACK CHRISTMAS (1974). Bob Clark’s Sorority House horror classic, which stars Olivia Hussy, influenced such spine-chilling greats as Halloween and Scream. Next up is the premiere of the bone-crunching WRECKAGE (2010) directed by John Mallory Asher in which four friends head to a scrap yard to look for spare parts – but soon realise the only spare parts they’ll be getting their hands on are their own!. This is followed at 00:40 by high-school slasher favourite PROM NIGHT (1980), starring the original scream queen Jamie Lee Curtis and Leslie Nielson. There is also an actress in the film called Liz Stalker-Mason. The last double-bill of the season features the TV premiere of THE TORTURED (2010), directed by Robert Lieberman, in which a desperate mother and father (played by Jesse Metcalfe & Elise Landry) decide to take the law into their own hands after the kidnapper and killer of their son receives a light sentence. . Concluding the series at 00:30 is cult classic MANIAC COP (1988) written by Larry Cohen and starring Bruce Campbell as the suspected cop who goes in search of the real killer. In case you missed it, here's my YouTube video of my filming location tour of "The Living Dead at the Manchester Morgue". Enjoy!!! 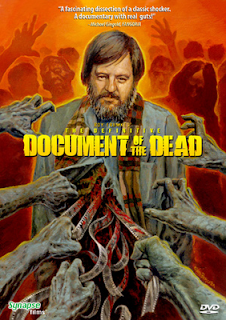 The Definitive "Document of the Dead". Roy Frumkes celebration of horror director George Romero gets re-edited, updated and re-mastered in an all-new version of the classic "making of" project based on 1978's "Dawn of the Dead". This newly re-edited and re-mastered 2012 version of the award-winning documentary contains all-new exclusive material including additional interviews with Romero’s family and friends, candid on-set footage from TWO EVIL EYES, LAND OF THE DEAD, DIARY OF THE DEAD, SURVIVAL OF THE DEAD and many more surprises including an all new feature length commentary track! This all new version is being released onto DVD in the US by Synapse films. There is also a Blu-Ray edition, however this will be STRICTLY LIMITED to 1500 copies. For more info and details on how to get hold of the limited edition Blu-Ray, visit the Synapse Films website. 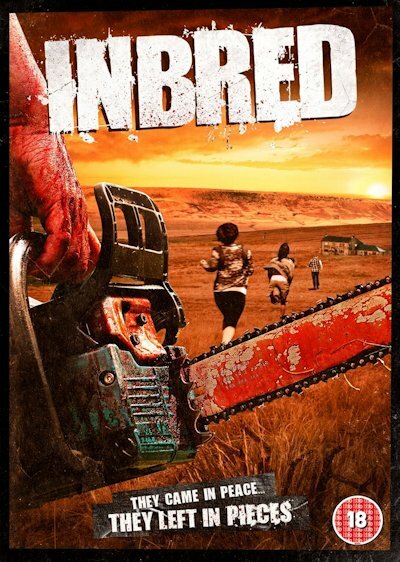 OK, I know it's fashionable for horror films to have an accompanying music video, one remembers Alice Cooper's contribution to the "Friday the 13th pt 6" Soundtrack, and Slipknot's video to My Plague, from the "Resident Evil" soundtrack, but what are we to make of this from the upcoming film "Inbred"????? Inbred by Director Alex Chandon, comes to UK cinemas 21 September and DVD and Blu-ray 15 October. 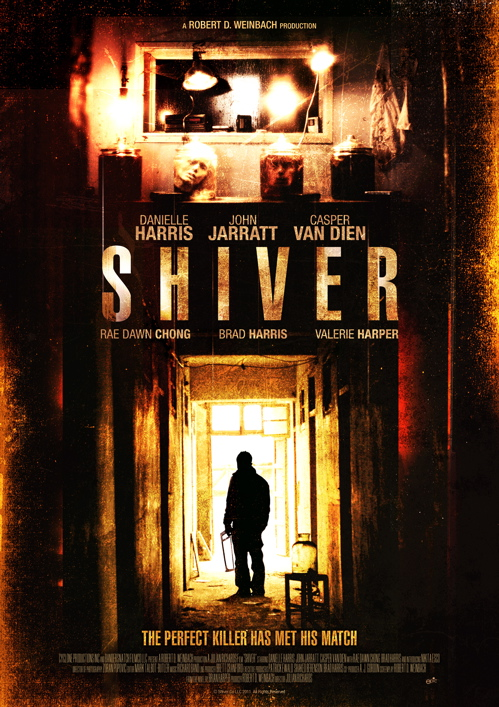 A film to make you "Shiver"
Producer, Robert Weinbach recently got in touch to tell us about his new film "SHIVER", starring genre fan favorite, Danielle Harris, who just won the Best Actress Award for her role in the film at the Burbank International Film Festival. 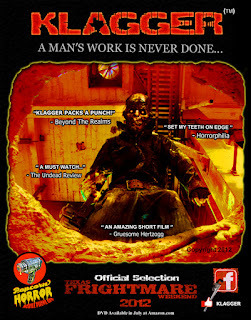 Directed by Julian Richards ("Darklands", "The Last Horror Movie"), SHIVER has also been selected for a UK Premiere at the prestigious 2012 RAINDANCE INTERNATIONAL FILM FESTIVAL where it will screen on October 3, 2012 at the Apollo Theatre. 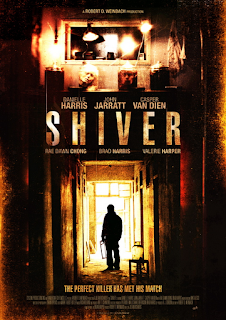 Filmed on location in Portland, Oregon, SHIVER is now an Official Selection at 17 International Film Festivals and will have its Spanish premiere at the SITGES INTERNATIONAL FILM FESTIVAL on October 5, 2012. 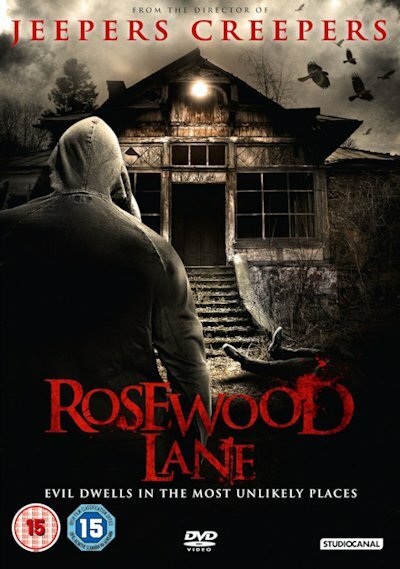 Adapted from the novel by Brian Harper, Danielle Harris ("Stakeland", "Halloween") stars as Wendy Alden, a young secretary terrorized by a savage killer, who finally finds the resources of courage to confront the monster of her living nightmare. John Jarratt ("Wolf Creek") co-stars as the psychotic killer, Franklin Rood. Casper Van Dien ("The Pact", "Starship Troopers") co-stars as Detective, Sebastian Delgado and Cult favorite, Rae Dawn Chong and Golden Globe winner, Valerie Harper are featured in supporting roles. . The film has been scored by renowned composer, Richard Band ("ReAnimator"). With over one million Brian Harper novels in circulation, a new edition of SHIVER has recently been published as an Ebook with initial sales now topping over 250,000 copies. A physical republication of the book with new artwork is plannedÂ as a film-novelization tie-in with the release of the film. 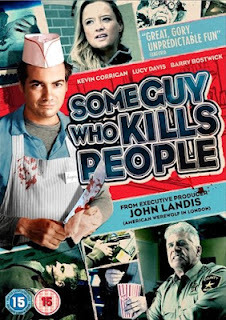 Grimm Entertainment where kind enough to send me a copy of their film “Some Guy Who Kills People” to take a look at, so thought I’d better post a quick review and share my thoughts. Well they say “revenge is a dish that is best served cold”, and ice cream parlours are certainly renown for their ice cold dishes, and that’s where hapless loner Ken Boyd (Kevin Corrigan – “The Departed”) works. The film is essentially a dark comedy, though it’s played as a straight horror. There’s also a bizarre sub plot, in which he’s trying to win the affections of one of the customers, Stephanie (Lucy Davis – “Shaun of the Dead”), whilst dealing with the fact he’s just found out he has a daughter from a previous relationship that he knew nothing about, all whilst he’s trying to stalk and take out the people who had previously made his life hell. Also starring Bary Bostwick (“Rocky Horror Picture Show”) and horror B-movie actress Karen Black (“House of 1000 Corpses”), overall, I found the film to be watchable, however I was expecting it to be a bit more jokier, whereas the humour seemed to be a lot more on the dry side. It’s directed, believe it or not, by the same guy who gave us “Megashark Vs Giant Octopus”, Jack Perez, but don’t let that put you off. I’ll admit that this wasn’t the chucklefest I had thought it was going to be, but viewed as a straight horror film it proved entertaining enough. The screener disc I was sent was devoid of any extras, no word what supplemental material (if any) will be included on the final release when it comes out. The film is getting a limited theatrical run in UK cineams from October 5th, followed by a DVD and Blu-Ray release from the 8th. 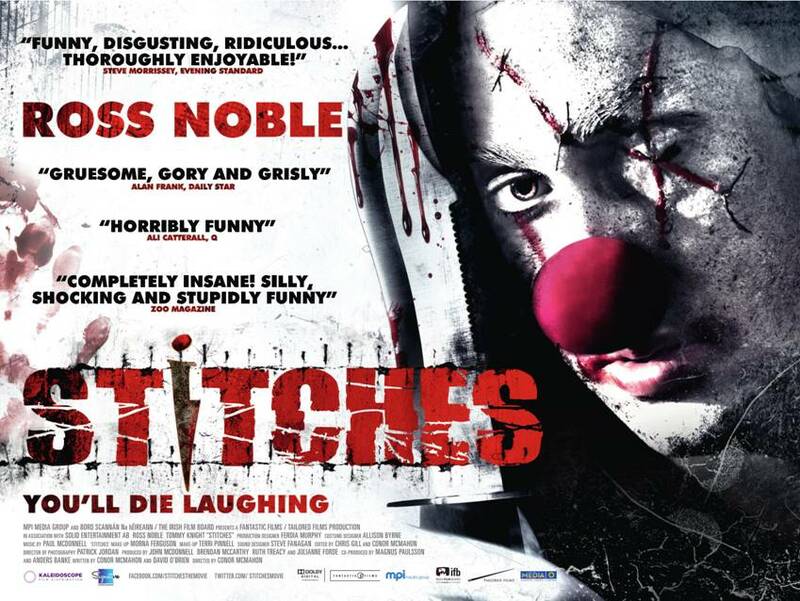 Behold the artwork for the new horror/comedy "Stitches, starring funny man Ross Noble, one of the most anticipated films of the season from director Conor McMahon (Dead Meat). Synopsis - Jaded Richard Grindle (Ross Noble) is the sleaziest clown working the children’s party circuit in Ireland. Arriving late to one birthday, his timing is off, the bratty kids a nightmare and a prank goes horribly wrong - he falls on a kitchen knife and goes to that Big Top in the sky. Years later the same nasty kids attend another more grown up bash. Little do they know, thanks to a black magic clown cult, Stitches will be the uninvited guest of honour seeking revenge on those responsible for his untimely death. 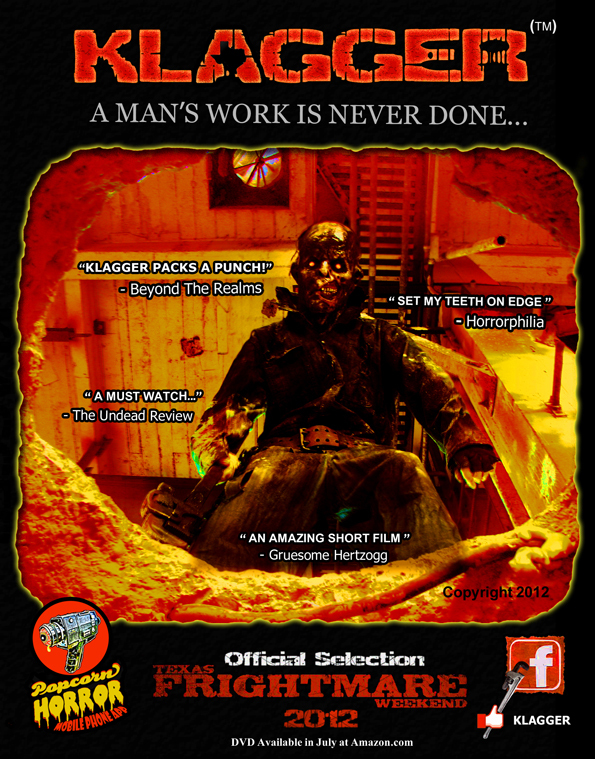 The film enjoyed a hugely successful screening at this year’s Frightfest and won TOTAL FILM’s ‘Best Death’ Award. 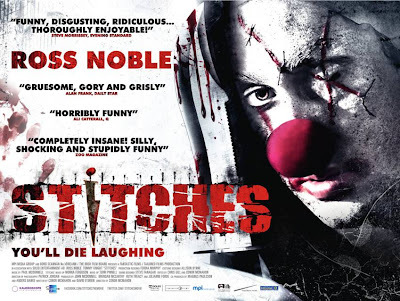 Stitches will be released in UK cinemas 26 October. Good news for video nasty fans, Nucleus films are going to be releasing Rene Cardona's infamous "Night of the Bloody Apes" onto UK DVD. Unlike previous UK releases, this one has been digitally remastered and is presented in anamorphic widescreen and, unlike previous UK releases, will be fully uncut for the first time. The disc also contains 3x trailers for the film, a stills gallery of various promotional posters and you get the option to watch the film with its original spanish language audio with English subs. Also, by clicking around on the "extras" menu, there's a hidden "easter egg" feature, showing a number of deleted scenes and unused out-takes from the film. There's also a special introduction to the film by Dr Patricia MacCormack, who's a proffessor of media studies at Anglia university, which was taken from Nucleus's "Video Nasties" documentary and you get a stack of trailers for other Nucleus titles. The film is released to UK DVD 8th October. House at the End of the Street - out this weekend! Kaleidescope Entertainment recently got in touch to tell us about their forthcoming release "Attack of the Werewolves" which hits UK video shelves this October. 1910. 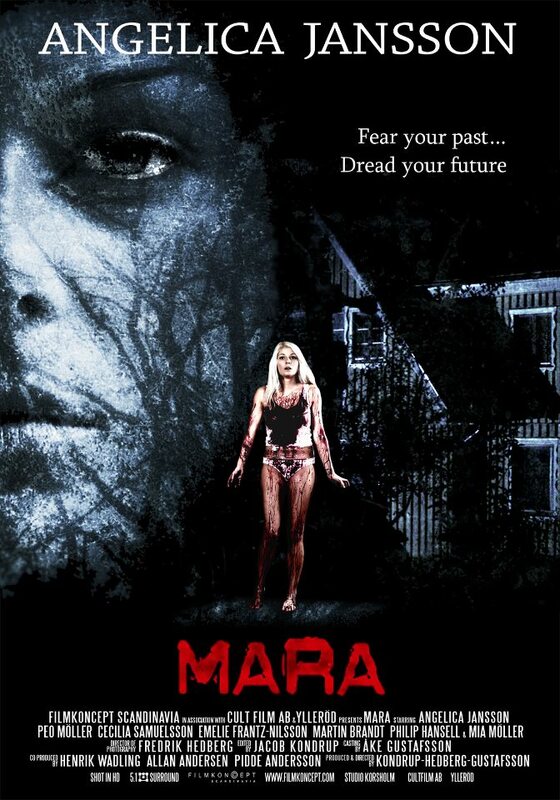 In a remote village, a terrible curse has fallen on the evil Marchioness of Marino and her son, transforming him into a blood-thirsty werewolf who preys on the residents of the village. One hundred years on, Thomas, the only male descendent of the Marino family, returns home to a warm welcome from the villagers but things aren't quite what they seem. After a century of being terrorized by the vicious werewolf, they plan to break the curse by sacrificing him 100 years to the day when the original curse fell. Thomas must defeat the villagers and pit his wits against a violent beast in order to save himself and overcome a curse that threatens to last for a further 100 years. Checkout the trailer on YouTube (looks bloody good fun). 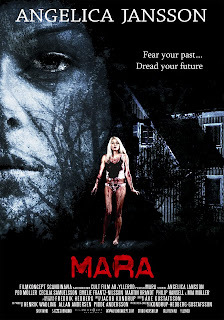 After being stuck in post-production for some considerable time, Filmkoncept Scandinavia is proud to announce that Swedish chiller "Mara" is finally completed and ready for release. Making her feature film acting debut, popular Swedish model Angelica Jansson stars as Jenny, who as a young girl witnessed a brutal, gruesome murder by an insane woman. A violent act that has forever scarred her. 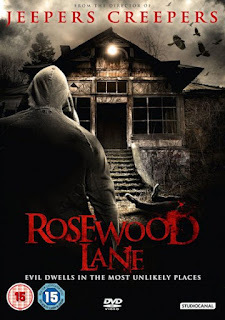 From the Writer/Director of Jeepers Creepers and Powder comes horror/thriller "Rosewood Lane", which comes to UK disc this Octorber. Radio talk show therapist Sonny Blake (Rose McGowan) moves back to her childhood home on the seemingly idyllic Rosewood Lane after her alcoholic father dies. However upon arrival in the old neighborhood, Sonny discovers her neighbors are terrified of the local paperboy (Daniel Ross Owens). She thinks this is ridiculous, until she encounters the boy himself. Sonny soon discovers that he is a cunning and dangerous sociopath, one who may have gruesomely killed her father...and others. With the help of her close friend, Paula (Lauren Velez), protective former boyfriend, Barrett Tanner (Sonny Marinelli) and a couple of dubious cops (Ray Wise and Tom Tarantini), she sets out to discover the truth. But the game escalates, and unbelievable horror ensue, as she suddenly finds herself in a terrifying all-out war. One that forces her to redefine her ideas of good and evil, and has her fighting to stay alive. The film is released to UK DVD on October 15th. Extras on the disc (TBC) include a making-of feature and a trailer. Klagger - A short film review! I was recently sent a copy of Casey Crow’s short film “Klagger” to take a look at, and being the sort of chap who’s always happy to help upcoming film makers, eagerly agreed to post a review. Clocking in at just over 10mins, I didn’t realise when I first sat down to watch it just how short this short-film was actually going to be, so it came as a bit of a surprise when the end credits rolled up just as I thought it was about to get going. But anyway, the movie is competently filmed and I felt they certainly managed to capture the atmosphere of the old building. The actors also seemed to know how to act, which is always a plus, as opposed to sounding like they’re just reading the lines straight off the paper, which is often the case in these promos. There was also an interesting choice of music for the soundtrack, which left me unable to listen to country and western in the same way again. Wasn’t entirely sure though if there was supposed to be a supernatural element to the film, it certainly falls into the slasher sub-genre, but wasn’t certain if the killer was meant to be undead, like Freddy Kruger or the Candyman, or just deformed like Leatherface or Jason Voorhees. In summary I will simply say that overall I was impressed and gave it the thumbs up. Be interesting to see this turned into a full length feature one day. Chris (Steve Oram) wants to show Tina (Alice Lowe) his world and he wants to do it his way - on a journey through the British Isles in his beloved Abbey Oxford Caravan. Tina's led a sheltered life and there are things that Chris needs her to see - the Crich Tramway Museum, the Ribblehead Viaduct, the Keswick Pencil Museum and the rolling countryside that accompanies these wonders in his life. The film is released to UK cinemas on 30th November. Look out for "Some Guy who Kills People". Blackly comic, genuinely scary and heart-warming all at the same time, Ken Boyd (Kevin Corrigan) is a small-town loner and comic-book nerd, who makes ends meet by pushing a broom around the local ice-cream parlour. Fresh out of the loony bin, where he spent years recovering from the horrific torture he suffered at the hands of the high school basketball jocks, he wants nothing more than to just be left alone. The film hits UK cinemas on 5th October, followed by a DVD, Blu-ray, Download and On Demand release on 8th October. Grimm Series 1 coming to UK disc! Be brave, sit tight and watch out as the fantasy drama series GRIMM, Season One hits shelves on Blu-ray and DVD on this October, courtesy of Universal Playback. From the producers of Buffy the Vampire Slayer and Angel comes a dark and pulse beating adventure, set in a world where supernatural beings (GRIMMs) gorge on the City of Portland. Season one begins as Detective Nick Burdhadt (David Guitolini) starts to see visions of people momentarily transformed into hideous monsters, but a visit from his only living relative reveals the truth about him belonging to a family of hunters, and his destiny to keep the balance between humanity and the mythological creatures. It's not long before his work as a policeman leads Nick to the criminals he once thought were only found in fairytales. With help from his friends Monroe (Silas Weir Mitchell) and Hank (Russell Hornsby), Nick finds he must battle against an assortment of dangerous abnormalities, in an effort to thwart the evilness that lives in small town America. 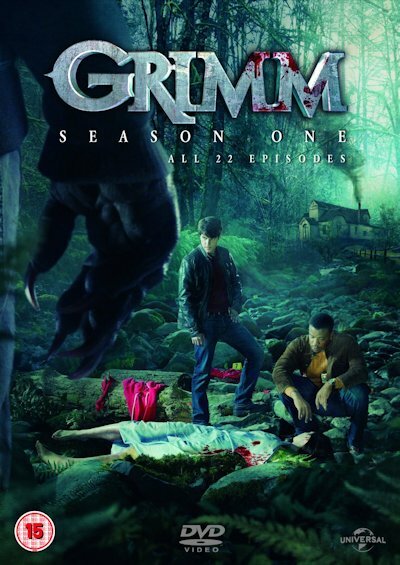 Created by Stephen Carpenter, David Greenwalt and Jim Kouf, GRIMM Season One is the highest rated drama series on UK TV channel "WATCH", with over 1 million viewers tuning in each week and has just been renewed for a second series. 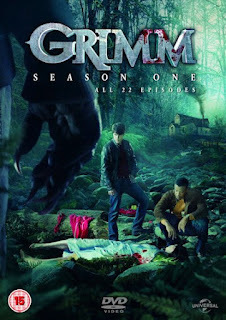 Grimm Series 1 is available on UK Blu-Ray, DVD, Digital Download and VOD from 22nd October. Big Top Evil - Coming Soon!!!! Sean Haitz of Faced productions recently got in touch to tell us about his new film "Big Top Evil", which recently finished filming. INBRED, Directed by ALEX CHANDON (Cradle of Fear), is one of the most hotly anticipated genre films of 2012. Four young urban offenders and their care workers embark on a community service weekend in the strange, remote Yorkshire village of Mortlake, which prides on keeping itself to itself. Visiting the local pub, ‘The Dirty Hole’ which serves home-made (and suspiciously hairy) pork scratchings, they quickly realise they’ve made the wrong holiday choice. A minor incident with some local inbred youths rapidly escalates into a blood-soaked, deliriously warped nightmare for all involved and it’s just a case of who will survive, and what will be left of them? 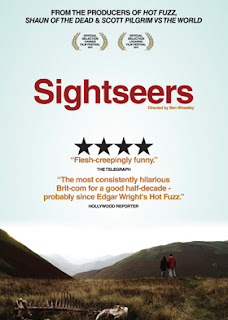 Officially selected for 2011’s FRIGHTFEST, the film has grown and grown in notoriety and now the wait is finally over as this dark, witty, yet hilariously twisted tale is unleashed in cinemas 21 September with a DVD/ Blu-ray release 15 October. Silent House, a remake of a Uruguayan film La Casa Muda which is allegedly based on actual incidents, will be available on UK Blu-ray, DVD and Digital Download this month. The film which is shot distinctively in one continuous take tells the story of a young woman Sarah, her father and uncle who have returned to their dilapidated Victorian house in the countryside to repair it to be sold. Over the course of 88 harrowing minutes the audience experience firsthand the terror and panic, as seen through Sarah's eyes as the horror of the evening unfolds. Shot in real time it soon becomes apparent after a visit from a childhood friend Sarah cannot remember, that all is not as it first seems in the house, with cracks in the walls being the least of the family's worries as their past returns to haunt them. Silent House is directed by Chris Kentis and Laura Lau who are responsible for the critically acclaimed and innovative horror film "Open Water". The film features break out star and everyone's one to watch Elizabeth Olsen (Martha Marcy May Marlene) who takes on the lead role of Sarah, giving an unsettling and truly engaging performance alongside the other cast of Adam Trese and Eric Sheffer Stevens. The film is released 17 September, 2012 courtesy of StudioCanal. Buy the DVD at Amazon.co.uk. Jeremy Renner and Gemma Arterton are starring in a new twist on the old Brothers Grimm fairy tale, which sees a grown up Hansel and Gretal battling a coven of witches in medieval Augsburg.